PLEASE BE ADVISED: THIS AGREEMENT CONTAINS PROVISIONS THAT GOVERN HOW CLAIMS YOU AND HYTCH HAVE AGAINST EACH OTHER CAN BE BROUGHT. THESE PROVISIONS WILL, WITH LIMITED EXCEPTION, REQUIRE YOU TO SUBMIT CLAIMS YOU HAVE AGAINST HYTCH TO BINDING AND FINAL ARBITRATION ON AN INDIVIDUAL BASIS, NOT AS A PLAINTIFF OR CLASS MEMBER IN ANY CLASS, GROUP OR REPRESENTATIVE ACTION OR PROCEEDING. By entering into to this Agreement, you expressly acknowledge that you understand this Agreement and accept all of its terms. Use of Hytch Platform, including clicking "accept" or “agree” to access the Hytch app, and everytime you send or accept an invitation to Hytch with another user is an acknowledgement that you agree that you have read, understand, and agree to be bound by these Terms. IF YOU DO NOT AGREE TO BE BOUND BY THE TERMS AND CONDITIONS OF THIS AGREEMENT, YOU MAY NOT USE OR ACCESS THE HYTCH PLATFORM. The Hytch Platform provides a rules engine which tracks and rewards shared rides between one Driver and one or more Riders or with others that are interested in sharing a ride via other means, which may include public transportation (“Ride Sharers”). Ride Sharers, Drivers, and Riders are collectively referred to herein as “User(s),” or “Member(s)” and each User shall create a User account that enables access to the Hytch Platform. For purposes of this Agreement, the tracking of a ride in progress and rewarding of Users provided through the Hytch Platform shall be referred to collectively as the “Services”. Any decision by a User to offer or accept Services is a decision made in such User’s sole discretion. Each transportation Service provided between Users shall constitute a separate agreement between such persons. In the event Hytch modifies the terms and conditions of this Agreement, such modifications shall be binding on you only upon your acceptance of the modified Agreement. Hytch reserves the right to modify any information referenced in the hyperlinks from this Agreement from time to time, and such modifications shall become effective upon posting. Continued use of the Hytch Platform or Services after any such changes shall constitute your consent to such changes. Unless material changes are made to the arbitration provisions herein, you agree that modification of this Agreement does not create a renewed opportunity to opt out of arbitration (if applicable). The Hytch Platform is not available to children (persons under the age of 13) or Users who have had their User account temporarily or permanently deactivated. By becoming a User, you represent and warrant that you are at least 13 years old and that you have the right, authority and capacity to enter into and abide by the terms and conditions of this Agreement. You may not allow other persons to use your User account, and you agree that you are the sole authorized user of your account. Those individuals who identify as a “Driver” must be of a legal age to operate a motor vehicle in accordance with their respective law enforcement. The Hytch Service is for personal, non-commercial use. Cost sharing reimbursement is a voluntary activity, negotiated between Users. No payment is required to use Hytch Services and no User may use Hytch Services to operate any for-profit transportation business or a service where financial payment is required for transportation. Many services, which are part of the Hytch Service, are offered to Users for free; however, certain Hytch Partner services may have an associated fee for usage. Where fees are applicable you will be informed in advance. For any software or services you purchase from us, you agree to pay us at the time of your order. All fees are due immediately and are non-refundable. This “no refund” policy shall apply at all times regardless of your decision to terminate your usage, our decision to terminate your usage, disruption caused to our software or services either planned, accidental or intentional, or any reason whatsoever. Hytch does not mediate requests for refund or payment reconciliation claims or disputes between Users. In the case that a user achieves an account balance of at least $10.00 in rewards, but not before, that user is then able to “cash out,” or transfer the funds to destination supported by the Hytch Platform or otherwise using the PayPal transfer feature set-up on the Hytch platform. In the event that an account is created and then “inactive” or without activity for at least 2 months, Hytch reserves the right to clear the account. In the event that an account is cleared, the User forfeits the rights to all rewards currently stored within their account, and all rewards will be returned back to the Hytch Service. By becoming a User, you agree to receive communications from us, including via e-mail, text message, calls, and push notifications. Communications from Hytch may include but are not limited to: operational communications concerning your User account or use of the Hytch Platform or Services, updates concerning new and existing features on the Hytch Platform, communications concerning promotions run by us or our third-party partners, and news concerning Hytch and industry developments or safety alerts. Standard text messaging charges assessed by your cell phone carrier may apply to text messages we send. IF YOU WISH TO OPT OUT OF PROMOTIONAL EMAILS, YOU CAN UNSUBSCRIBE FROM OUR PROMOTIONAL EMAIL LIST BY FOLLOWING THE UNSUBSCRIBE OPTIONS IN THE PROMOTIONAL EMAIL ITSELF. IF YOU WISH TO OPT OUT OF PROMOTIONAL CALLS OR TEXTS, YOU MAY TEXT “END” TO THE NUMBER PROVIDED FROM THE MOBILE DEVICE RECEIVING THE MESSAGES. YOU ACKNOWLEDGE THAT YOU ARE NOT REQUIRED TO CONSENT TO RECEIVE PROMOTIONAL TEXTS OR CALLS AS A CONDITION OF USING THE HYTCH PLATFORM OR THE SERVICES. IF YOU WISH TO OPT OUT OF ALL TEXTS OR CALLS FROM HYTCH (INCLUDING OPERATIONAL OR TRANSACTIONAL TEXTS OR CALLS), YOU CAN TEXT THE WORD “STOPALL” TO THE NUMBER PROVIDED FROM THE MOBILE DEVICE RECEIVING THE MESSAGES, HOWEVER YOU ACKNOWLEDGE THAT OPTING OUT OF RECEIVING ALL TEXTS MAY IMPACT YOUR USE OF THE HYTCH PLATFORM OR THE SERVICES. Hytch, at its sole discretion, may make available promotions with different features to any Users or prospective Users. These promotions, unless made to you, shall have no bearing whatsoever on your Agreement or relationship with Hytch. Hytch reserves the right to withhold or deduct points or benefits obtained through a promotion event that Hytch determines or believes that the redemption of the promotion or receipt of the credit or benefit was in error, fraudulent, illegal, or in violation of the applicable promotion terms or this Agreement. As part of your User account, Hytch may provide you with or allow you to create a “Hytch Code,” a unique alphanumeric code for you to distribute to friends, family and other persons (each a “Referred User”) to become new Hytch Ride-Sharers (“Referred Ride-Sharers”). Hytch Codes may only be distributed for promotional purposes and must be given away free of charge. You may not sell, trade, or barter your Hytch Group Code. You are prohibited from advertising Hytch Group Codes, including but not limited to: Google, Facebook, Twitter, Bing and Craigslist. Hytch reserves the right to deactivate or invalidate any Hytch Group Code at any time in Hytch’s discretion. From time to time, Hytch may offer you with incentives to refer new Users to the Hytch community (the “Referral Program”). These incentives come in the form of Hytch points, and Hytch may set or change the incentive types, amounts, terms, restrictions, and qualification requirements for any incentives in its sole discretion. Your distribution of Hytch Group Codes and participation in the Referral Program is subject to this Agreement. You possess a valid driver’s license and are authorized and medically fit to operate a motor vehicle and have all appropriate licenses, approvals and authority to provide transportation to Riders in all jurisdictions in which you provide any transportation and you agree you provide transportation on a fully voluntary and non commercial basis. You own, or have the legal right to operate, the vehicle that you use when providing any transportation services, and such vehicle is in good operating condition and meets the industry safety standards and all applicable statutory and state department of motor vehicle requirements for a vehicle of its kind. If you provide a Vehicle Identification Number you represent you own and/or regularly drive that vehicle when you drive and authorize Hytch to obtain information about you and that vehicle from third parties. You will not engage in reckless behavior while driving, which may include but is not limited to the legal definitions of driving unsafely and operating a vehicle that is unsafe to drive according to the laws of any state where you may drive. You will not “text and drive” or interact with your phone while driving. If you are involved in a motor vehicle accident or collision of any kind you will not leave the scene or endanger the public. You will not drive while under the influence of alcohol or drugs, or take action that harms or threatens to harm the safety of the Hytch community or third parties. You will not make any misrepresentation regarding Hytch, the Hytch Platform, the Services or your status as a Driver. You will not, while providing the Services, operate as a public carrier or taxi service, accept street hails, charge for rides (except as expressly provided in this Agreement), demand that a rider pay in cash, or use a credit card reader, such as a Square Reader, to accept payment or engage in any other activity in a manner that is inconsistent with your voluntary participation as a Driver and your obligations under this Agreement. You will not attempt to defraud Employers, Sponsors, Hytch or Riders on the Hytch Platform in connection with your participation. If we suspect that you have engaged in fraudulent activity we may suspend your access privileges, withhold applicable points, and terminate your account. This Agreement is effective upon your creation of a User account. This Agreement may be terminated: a) by a User, without cause, or b) by either Party immediately, without notice, upon the other Party's material breach of this Agreement. In addition, Hytch may terminate this Agreement or deactivate your User account immediately in the event: (1) you are found to be impersonating a second user through use of a second phone owned, controlled, or borrowed for the purpose of impersonating a "second" or additional user of the Service, or are misrepresenting yourself in some way to the Hytch Platform to earn fraudulent rewards represent a shared ride that did not include two or more fully participating adults; or (2) Hytch has the good faith belief that such action is necessary to protect the safety of the Hytch community or third parties; or (3) Hytch may terminate this Agreement at any time, without cause. In the case that an account is terminated for (1) or (2) above, at the sole discretion of Hytch, all Hytch points will be immediately forfeited and access to the Platform may be terminated without recourse. If a User terminates an account, all Hytch points will be immediately forfeited without recourse. Hytch reserves the right to seek monetary damages for the dollar amount that was fraudulently earned and cashed out, as well as any legal fees that are incurred during the course of the process. All intellectual property rights in the Hytch Platform shall be owned by Hytch absolutely and in their entirety. These rights include and are not limited to database rights, copyright, design rights (whether registered or unregistered), trademarks (whether registered or unregistered) and other similar rights wherever existing in the world together with the right to apply for protection of the same. All other trademarks, logos, service marks, company or product names set forth in the Hytch Platform are the property of their respective owners. You acknowledge and agree that any questions, comments, suggestions, ideas, feedback or other information (“Submissions”) provided by you to us are non-confidential and shall become the sole property of Hytch. Hytch shall own exclusive rights, including all intellectual property rights, and shall be entitled to the unrestricted use and dissemination of these Submissions for any purpose, commercial or otherwise, without acknowledgment or compensation to you. HYTCH.ME and other various Hytch logos, designs, graphics, icons, scripts and service names are registered trademarks, trademarks or trade dress of Hytch in the United States and/or other countries (collectively, the “Hytch Marks”). If you provide Services as a Driver, Hytch grants to you, during the term of this Agreement, and subject to your compliance with the terms and conditions of this Agreement, a limited, revocable, non-exclusive license to display and use the Hytch Marks solely in connection with providing the Services through the Hytch Platform (“License”). The License is non-transferable and non-assignable, and you shall not grant to any third party any right, permission, license or sublicense with respect to any of the rights granted hereunder without Hytch’s prior written permission, which it may withhold in its sole discretion. The Hytch Marks may not be used in any manner that is likely to cause confusion. You acknowledge that Hytch is the owner and licensor of the Hytch Marks, including all goodwill associated therewith, and that your use of the Hytch Marks will confer no additional interest in or ownership of the Hytch Marks in you but rather inures to the benefit of Hytch. You agree to use the Hytch Marks strictly in accordance with Hytch’s Trademark Usage Guidelines, as may be provided to you and revised from time to time, and to immediately cease any use that Hytch determines to nonconforming or otherwise unacceptable. You agree that you will not: (1) create any materials that incorporate the Hytch Marks or any derivatives of the Hytch Marks other than as expressly approved by Hytch in writing; (2) use the Hytch Marks in any way that tends to impair their validity as proprietary trademarks, service marks, trade names or trade dress, or use the Hytch Marks other than in accordance with the terms, conditions and restrictions herein; (3) take any other action that would jeopardize or impair Hytch’s rights as owner of the Hytch Marks or the legality and/or enforceability of the Hytch Marks, including, without limitation, challenging or opposing Hytch’s ownership in the Hytch Marks; (4) apply for trademark registration or renewal of trademark registration of any of the Hytch Marks, any derivative of the Hytch Marks, any combination of the Hytch Marks and any other name, or any trademark, service mark, trade name, symbol or word which is similar to the Hytch Marks; (5) use the Hytch Marks on or in connection with any product, service or activity that is in violation of any law, statute, government regulation or standard. Violation of any provision of this License may result in immediate termination of the License, in Hytch’s sole discretion. If you create any materials bearing the Hytch Marks (in violation of this Agreement or otherwise), you agree that upon their creation Hytch exclusively owns all right, title and interest in and to such materials, including without limitation any modifications to the Hytch Marks or derivative works based on the Hytch Marks. You further agree to assign any interest or right you may have in such materials to Hytch, and to provide information and execute any documents as reasonably requested by Hytch to enable Hytch to formalize such assignment. Hytch respects the intellectual property of others, and expects Users to do the same. The following disclaimers are made on behalf of Hytch, our affiliates, sponsors, partners, all related subsidiaries, parents, successors and assigns, and each of our respective officers, directors, employees, agents, and shareholders. HYTCH DOES NOT PROVIDE TRANSPORTATION SERVICES, AND HYTCH IS NOT A TRANSPORTATION CARRIER. IT IS UP TO THE DRIVER TO DECIDE WHETHER OR NOT TO OFFER A RIDE TO A RIDER, AND IT IS UP TO THE RIDER TO DECIDE WHETHER OR NOT TO ACCEPT A RIDE FROM ANY DRIVER CONTACTED THROUGH THE HYTCH PLATFORM. WE CANNOT ENSURE THAT A DRIVER OR RIDER WILL COMPLETE AN ARRANGED TRANSPORTATION SERVICE. WE HAVE NO CONTROL OVER QUALITY OR SAFETY OF THE TRANSPORTATION THAT OCCURS AS A RESULT OF THAT SERVICE. Hytch is not responsible for the conduct, whether online or offline, of any User of the Hytch Platform or Services. You are solely responsible for your interactions with other Users. We do not procure insurance for, nor are we responsible for, personal belongings left in the vehicle by Drivers or Riders. By using the Hytch Platform and participating in the Services, you agree to accept such risks and agree that Hytch is not responsible for the acts or omissions of Users on the Hytch Platform or participating in the Services. The Hytch Platform is provided on an “as is” basis and without any warranty or condition, express, implied or statutory. We do not guarantee and do not promise any specific results from use of the Hytch Platform and/or the Services, including the ability to provide or receive Services at any given location or time. We specifically disclaim any implied warranties of title, merchantability, fitness for a particular purpose and non-infringement. Some states do not allow the disclaimer of implied warranties, so the foregoing disclaimer may not apply to you. We do not warrant that your use of the Hytch Platform or Services will be accurate, complete, reliable, current, secure, uninterrupted, always available, or error- free, or will meet your requirements, that any defects in the Hytch Platform will be corrected, or that the Hytch Platform is free of viruses or other harmful components. We disclaim liability for, and no warranty is made with respect to, connectivity and availability of the Hytch Platform or Services. We cannot guarantee that each Rider is who he or she claims to be. Please use common sense when using the Hytch Platform and Services, including asking for a copy of legal identification, proof of proper and current driver’s license and using reasonable judgment in any circumstance where you have been invited to ride or matched with any other party to make sure it is the same individual. Please note that there are also risks of dealing with underage persons or people acting under false pretense, and we do not accept responsibility or liability for any content, communication or other use or access of the Hytch Platform Users and or any use of the Service by children under the age of 13 is a violation of this Agreement. We encourage you to communicate directly with each potential Driver or Rider prior to engaging in an arranged transportation service. Hytch expressly disclaims any liability arising from the unauthorized use of your User account. Should you suspect that any unauthorized party may be using your User account or you suspect any other breach of security, you agree to notify us immediately. It is possible for others to obtain information about you that you provide, publish or post to or through the Hytch Platform (including any profile information you provide), send to other Users, or share during the Services, and to use such information to harass or harm you. We are not responsible for the use of any personal information that you disclose to other Users on the Hytch Platform or through the Services. Please carefully select the type of information that you post on the Hytch Platform or through the Services or release to others. We disclaim all liability, regardless of the form of action, for the acts or omissions of other Users (including unauthorized users, or “hackers”). Opinions, advice, statements, offers, or other information or content concerning Hytch or made available through the Hytch Platform, but not directly by us, are those of their respective authors, and should not necessarily be relied upon. Such authors are solely responsible for such content. Under no circumstances will we be responsible for any loss or damage resulting from your reliance on information or other content posted by third parties, whether on the Hytch Platform or otherwise. We reserve the right, but we have no obligation, to monitor the materials posted on the Hytch Platform and remove any such material that in our sole opinion violates, or is alleged to violate, the law or this agreement or which might be offensive, illegal, or that might violate the rights, harm, or threaten the safety of Users or others. Location data provided by the Hytch Platform is for basic location purposes only and is not intended to be relied upon in situations where precise location information is needed or where erroneous, inaccurate or incomplete location data may lead to death, personal injury, property or environmental damage. Neither Hytch, nor any of its content providers, Sponsors or Partners guarantees the availability, accuracy, completeness, reliability, or timeliness of location data tracked or displayed by the Hytch Platform. Any of your Information, including geolocational data, you upload, provide, or post on the Hytch Platform may be accessible to Hytch and certain Users of the Hytch Platform. Hytch advises you to use the Hytch Platform with a data plan with unlimited or very high data usage limits, and Hytch shall not responsible or liable for any fees, costs, or overage charges associated with any data plan you use to access the Hytch Platform. This paragraph applies to any version of the Hytch Platform that you acquire from the Apple App Store. This Agreement is entered into between you and Hytch. Apple, Inc. (“Apple”) is not a party to this Agreement and shall have no obligations with respect to the Hytch Platform. Hytch, not Apple, is solely responsible for the Hytch Platform and the content thereof as set forth hereunder. However, Apple and Apple’s subsidiaries are third party beneficiaries of this Agreement. Upon your acceptance of this Agreement, Apple shall have the right (and will be deemed to have accepted the right) to enforce this Agreement against you as a third party beneficiary thereof. This Agreement incorporates by reference, for purposes of which, you are “the end-user.” In the event of a conflict in the terms of the Licensed Application End User License Agreement and this Agreement, the terms of this Agreement shall control. Certain jurisdictions may require additional disclosures to you. You can view any disclosures required by your local jurisdiction on our website. We will update the disclosures page as jurisdictions add, remove or amend these required disclosures, so please check in regularly for updates. You will defend, indemnify, and hold Hytch including our affiliates, subsidiaries, parents, successors and assigns, and each of our respective officers, directors, employees, agents, or shareholders harmless from any claims, actions, suits, losses, costs, liabilities and expenses (including reasonable attorneys’ fees) relating to or arising out of your use of the Hytch Platform and participation in the Services, including: (1) your breach of this Agreement or the documents it incorporates by reference; (2) your violation of any law or the rights of a third party, including, without limitation, Drivers, Riders, Sponsors, other motorists, and pedestrians, as a result of your own interaction with such third party; (3) any allegation that any materials that you submit to us or transmit through the Hytch Platform or to us infringe or otherwise violate the copyright, trademark, trade secret or other intellectual property or other rights of any third party; (4) your ownership, use or operation of a motor vehicle or passenger vehicle, including your participation of Services as a Driver; and/or (5) any other activities in connection with the Services. This indemnity shall be applicable without regard to the negligence of any party, including any indemnified person. IN NO EVENT WILL HYTCH, LLC INCLUDING OUR AFFILIATES, SPONSORS, PARTNERS, SUBSIDIARIES, PARENTS, SUCCESSORS AND ASSIGNS, AND EACH OF OUR RESPECTIVE OFFICERS, DIRECTORS, EMPLOYEES, AGENTS, OR SHAREHOLDERS (COLLECTIVELY “HYTCH” FOR PURPOSES OF THIS SECTION), BE LIABLE TO YOU FOR ANY INCIDENTAL, SPECIAL, EXEMPLARY, PUNITIVE, CONSEQUENTIAL, OR INDIRECT DAMAGES (INCLUDING, BUT NOT LIMITED TO, DAMAGES FOR DELETION, CORRUPTION, LOSS OF DATA, LOSS OF PROGRAMS, FAILURE TO STORE ANY INFORMATION OR OTHER CONTENT MAINTAINED OR TRANSMITTED BY THE HYTCH PLATFORM, SERVICE INTERRUPTIONS, OR FOR THE COST OF PROCUREMENT OF SUBSTITUTE SERVICES) ARISING OUT OF OR IN CONNECTION WITH THE HYTCH PLATFORM, THE SERVICES, OR THIS AGREEMENT, HOWEVER ARISING INCLUDING NEGLIGENCE, EVEN IF WE OR OUR AGENTS OR REPRESENTATIVES KNOW OR HAVE BEEN ADVISED OF THE POSSIBILITY OF SUCH DAMAGES. THE HYTCH PLATFORM MAY BE USED BY YOU TO INVITE USERS TO SHARE RIDES THAT ARE TRACKED AND MAY OR MAY NOT BE REWARDED, BUT YOU AGREE THAT HYTCH HAS NO RESPONSIBILITY OR LIABILITY TO YOU RELATED TO ANY TRANSPORTATION, OR OTHER SERVICES PROVIDED TO YOU BY THIRD PARTIES OTHER THAN AS EXPRESSLY SET FORTH IN THESE TERMS. CERTAIN JURISDICTIONS MAY NOT ALLOW THE EXCLUSION OR LIMITATION OF CERTAIN DAMAGES. IF THESE LAWS APPLY TO YOU, SOME OR ALL OF THE ABOVE DISCLAIMERS, EXCLUSIONS OR LIMITATIONS MAY NOT APPLY TO YOU, AND YOU MAY HAVE ADDITIONAL RIGHTS. (a) Agreement to Binding Arbitration Between You and Hytch. YOU AND HYTCH MUTUALLY AGREE TO WAIVE OUR RESPECTIVE RIGHTS TO RESOLUTION OF DISPUTES IN A COURT OF LAW BY A JUDGE OR JURY AND AGREE TO RESOLVE ANY DISPUTE BY ARBITRATION, as set forth below. This agreement to arbitrate (“Arbitration Agreement”) is governed by the Federal Arbitration Act and survives after the Agreement terminates or your relationship with Hytch ends. ANY ARBITRATION UNDER THIS AGREEMENT WILL TAKE PLACE ON AN INDIVIDUAL BASIS; CLASS ARBITRATIONS AND CLASS ACTIONS ARE NOT PERMITTED. Except as expressly provided below, this Arbitration Agreement applies to all Claims (defined below) between you and Hytch, LLC including our affiliates, subsidiaries, parents, successors and assigns, and each of our respective officers, directors, employees, agents, or shareholders. Except as expressly provided below, ALL DISPUTES AND CLAIMS BETWEEN US (EACH A “CLAIM” AND COLLECTIVELY, “CLAIMS”) SHALL BE EXCLUSIVELY RESOLVED BY BINDING ARBITRATION SOLELY BETWEEN YOU AND HYTCH. These Claims include, but are not limited to, any dispute, claim or controversy, whether based on past, present, or future events, arising out of or relating to: this Agreement and prior versions thereof (including the breach, termination, enforcement, interpretation or validity thereof), the Hytch Platform, the Services, any other services made available through the Hytch Platform, your relationship with Hytch, the threatened or actual suspension, deactivation or termination of your User Account or this Agreement, payments made by you or any payments made or allegedly owed to you, any promotions or offers made by Hytch, any city, county, state or federal wage-hour law, trade secrets, unfair competition, compensation, breaks and rest periods, expense reimbursement, wrongful termination, discrimination, harassment, retaliation, fraud, defamation, emotional distress, breach of any express or implied contract or covenant, claims arising under federal or state consumer protection laws; claims arising under antitrust laws, claims arising under the Telephone Consumer Protection Act and Fair Credit Reporting Act; and claims arising under the Uniform Trade Secrets Act, Civil Rights Act of 1964, Americans With Disabilities Act, Age Discrimination in Employment Act, Older Workers Benefit Protection Act, Family Medical Leave Act, Fair Labor Standards Act, Employee Retirement Income Security Act (except for individual claims for employee benefits under any benefit plan sponsored by Hytch and covered by the Employee Retirement Income Security Act of 1974 or funded by insurance), and state statutes, if any, addressing the same or similar subject matters, and all other federal and state statutory and common law claims. All disputes concerning the arbitrability of a Claim (including disputes about the scope, applicability, enforceability, revocability or validity of the Arbitration Agreement) shall be decided by the arbitrator, except as expressly provided below. BY AGREEING TO ARBITRATION, YOU UNDERSTAND THAT YOU AND HYTCH ARE WAIVING THE RIGHT TO SUE IN COURT OR HAVE A JURY TRIAL FOR ALL CLAIMS, EXCEPT AS EXPRESSLY OTHERWISE PROVIDED IN THIS ARBITRATION AGREEMENT. This Arbitration Agreement is intended to require arbitration of every claim or dispute that can lawfully be arbitrated, except for those claims and disputes which by the terms of this Arbitration Agreement are expressly excluded from the requirement to arbitrate. YOU UNDERSTAND AND AGREE THAT YOU AND HYTCH MAY EACH BRING CLAIMS IN ARBITRATION AGAINST THE OTHER ONLY IN AN INDIVIDUAL CAPACITY AND NOT ON A CLASS, COLLECTIVE ACTION, OR REPRESENTATIVE BASIS (“CLASS ACTION WAIVER”). YOU UNDERSTAND AND AGREE THAT YOU AND HYTCH BOTH ARE WAIVING THE RIGHT TO PURSUE OR HAVE A DISPUTE RESOLVED AS A PLAINTIFF OR CLASS MEMBER IN ANY PURPORTED CLASS, COLLECTIVE OR REPRESENTATIVE PROCEEDING. NOTWITHSTANDING THE FOREGOING, THIS SUBSECTION (B) SHALL NOT APPLY TO REPRESENTATIVE PRIVATE ATTORNEYS GENERAL ACT CLAIMS BROUGHT AGAINST HYTCH, WHICH ARE ADDRESSED SEPARATELY IN SECTION 17(C). Notwithstanding any other provision of this Agreement or the Arbitration Agreement, to the fullest extent permitted by law: (1) you and Hytch agree not to bring a representative action on behalf of others under the Private Attorneys General Act of 2004 (“PAGA”), California Labor Code § 2698 et seq., in any court or in arbitration, and (2) for any claim brought on a private attorney general basis, including under the California PAGA, both you and Hytch agree that any such dispute shall be resolved in arbitration on an individual basis only (i.e., to resolve whether you have personally been aggrieved or subject to any violations of law), and that such an action may not be used to resolve the claims or rights of other individuals in a single or collective proceeding (i.e., to resolve whether other individuals have been aggrieved or subject to any violations of law) (collectively, “representative PAGA Waiver”). Notwithstanding any other provision of this Agreement, the Arbitration Agreement or the AAA Rules, disputes regarding the scope, applicability, enforceability, revocability or validity of this representative PAGA Waiver may be resolved only by a civil court of competent jurisdiction and not by an arbitrator. If any provision of this representative PAGA Waiver is found to be unenforceable or unlawful for any reason: (i) the unenforceable provision shall be severed from this Agreement; (ii) severance of the unenforceable provision shall have no impact whatsoever on the Arbitration Agreement or the requirement that any remaining Claims be arbitrated on an individual basis pursuant to the Arbitration Agreement; and (iii) any such representative PAGA or other representative private attorneys general act claims must be litigated in a civil court of competent jurisdiction and not in arbitration. To the extent that there are any Claims to be litigated in a civil court of competent jurisdiction because a civil court of competent jurisdiction determines that the representative PAGA Waiver is unenforceable with respect to those Claims, the Parties agree that litigation of those Claims shall be stayed pending the outcome of any individual Claims in arbitration. Any arbitration conducted pursuant to this Arbitration Agreement shall be administered by the American Arbitration Association (“AAA”), as modified by the terms set forth in this Agreement. Copies of these rules can be obtained at the AAA’s website (www.adr.org) (the “AAA Rules”) or by calling the AAA at 1-800-778-7879. Notwithstanding the foregoing, if requested by you and if proper based on the facts and circumstances of the Claims presented, the arbitrator shall have the discretion to select a different set of AAA Rules, but in no event shall the arbitrator consolidate more than one person’s Claims, or otherwise preside over any form of representative, collective, or class proceeding. As part of the arbitration, both you and Hytch will have the opportunity for reasonable discovery of non-privileged information that is relevant to the Claim. The arbitrator may award any individualized remedies that would be available in court. The arbitrator may award declaratory or injunctive relief only in favor of the individual party seeking relief and only to the extent necessary to provide relief warranted by that party's individual claims. The arbitrator will provide a reasoned written statement of the arbitrator’s decision which shall explain the award given and the findings and conclusions on which the decision is based. The arbitrator will decide the substance of all claims in accordance with applicable law, and will honor all claims of privilege recognized by law. The arbitrator shall not be bound by rulings in prior arbitrations involving different Users, but is bound by rulings in prior arbitrations involving the same Users to the extent required by applicable law. The arbitrator’s award shall be final and binding and judgment on the award rendered by the arbitrator may be entered in any court having jurisdiction thereof, provided that any award may be challenged in a court of competent jurisdiction. Before initiating any arbitration or proceeding, you and Hytch may agree to first attempt to negotiate any dispute, claim or controversy between the parties informally for 30 days, unless this time period is mutually extended by you and Hytch. A party who intends to seek negotiation under this subsection must first send to the other a written notice of the dispute (“Notice”). The Notice must (1) describe the nature and basis of the claim or dispute; and (2) set forth the specific relief sought. All offers, promises, conduct and statements, whether oral or written, made in the course of the negotiation by any of the parties, their agents, employees, and attorneys are confidential, privileged and inadmissible for any purpose, including as evidence of liability or for impeachment, in arbitration or other proceeding involving the parties, provided that evidence that is otherwise admissible or discoverable shall not be rendered inadmissible or non-discoverable as a result of its use in the negotiation. You agree not to use any technical, financial, strategic and other proprietary and confidential information relating to Hytch’s business, operations and properties, including User information (“Confidential Information”) disclosed to you by Hytch for your own use or for any purpose other than as contemplated herein. You shall not disclose or permit disclosure of any Confidential Information to third parties. You agree to take all reasonable measures to protect the secrecy of and avoid disclosure or use of Confidential Information of Hytch in order to prevent it from falling into the public domain. Notwithstanding the above, you shall not have liability to Hytch with regard to any Confidential Information which you can prove: was in the public domain at the time it was disclosed by Hytch or has entered the public domain through no fault of yours; was known to you, without restriction, at the time of disclosure, as demonstrated by files in existence at the time of disclosure; is disclosed with the prior written approval of Hytch; becomes known to you, without restriction, from a source other than Hytch without breach of this Agreement by you and otherwise not in violation of Hytch’s rights; or is disclosed pursuant to the order or requirement of a court, administrative agency, or other governmental body; provided, however, that You shall provide prompt notice of such court order or requirement to Hytch to enable Hytch to seek a protective order or otherwise prevent or restrict such disclosure. We are not involved in and we are in no way responsible for any actual dealings between you and other Users who use the Hytch Service. You agree that Hytch and Hytch Partners will not be a party to disputes, negotiations of disputes or conflicts of any kind between Users. We encourage you to report all physical disputes with other Users to your local law enforcement authorities. Hytch does not, and shall not be deemed to, direct or control you generally or in your performance under this Agreement specifically, including in connection with your participation of Services, your acts or omissions, or your operation and maintenance of your vehicle.  Hytch acquires ownership of all User mobility data captured by the Hytch Platform in exchange for carbon credits acquired and retired on your behalf and on behalf of Users. You retain the sole right to determine when, where, and for how long you will utilize the Hytch Platform. You retain the option to accept or to decline or ignore any invitation by any User of Services via the Hytch Platform, or to cancel an accepted request for Services via the Hytch Platform, subject to Hytch’s then-current cancellation policies. This Agreement shall be governed by the laws of the State of Tennessee without regard to choice of law principles. This choice of law provision is only intended to specify the use of Tennessee law to interpret this Agreement and is not intended to create any other substantive right to non- Tennessee’s to assert claims under Tennessee law whether by statute, common law, or otherwise. If any provision of this Agreement is or becomes invalid or non-binding, the parties shall remain bound by all other provisions hereof. In that event, the parties shall replace the invalid or non- binding provision with provisions that are valid and binding and that have, to the greatest extent possible, a similar effect as the invalid or non-binding provision, given the contents and purpose of this Agreement. You agree that this Agreement and all incorporated agreements may be automatically assigned by Hytch, in our sole discretion by providing notice to you. Except as explicitly stated otherwise, any notices to Hytch shall be given by certified mail, postage prepaid and return receipt requested to Hytch, LLC., 511 Union, Suite 2700, Nashville, TN 37219. Any notices to you shall be provided to you through the Hytch Platform or given to you via the email address you provide to Hytch during registration process or as updated in your Profile. Headings are for reference purposes only and in no way define, limit, construe or describe the scope or extent of such section. A party’s failure to act with respect to a breach by the other party does not constitute a waiver of the party’s right to act with respect to subsequent or similar breaches. This Agreement sets forth the entire understanding and agreement between you and Hytch with respect to the subject matter hereof and supersedes all previous understandings and agreements between the parties, whether oral or written. If you have any questions regarding the Hytch Platform or Services, please contact our Customer Support Team through our website or within the mobile app.